This is Chris Taylor’s second post to the Incluseum about his work creating the Department of Inclusion and Community Engagement at the Minnesota Historical Society. You can read Part I here. You can also access DICE’s Mission, Vision, and Values document here for more detail. What do you think? Do you have something similar at your museum? THE DEPARTMENT OF INCLUSION AND COMMUNITY ENGAGEMENT (DICE) supports the Society’s goal of sustained engagement with diverse communities. The DICE will help guide internal and external strategies across all historic sites and museums to embed inclusive practices in our work to ensure the diversity of the state is reflected in all MNHS activities, including collections, programs, staffing, volunteers, historic preservation and governance. The American Alliance of Museum helped us accomplish our first task as a department. As an institution, we really needed to define the terms “diversity” and “inclusion.” Due to fortunate timing, we simply adopted the definition of AAM. We need to figure out how those definitions specifically apply to our efforts, but as guiding definitions, they work well. Next we outlined the department’s core values: public trust and accountability, transparency, inclusive practices, and multiple narratives and interpretation. While there is a fair amount of overlap between the four values, each brings a little different nuance to our work. Public trust and accountability. As a museum and an institution older than our state, we have a long history. Our relationships with diverse communities are often hindered by mistrust or negative perceptions. As most museums do, we have episodes in our past where we understand that we have not acted in the best interests of these communities. Recognizing our past, but even more than recognizing, acknowledging our past begins the healing process for some individuals in these communities. Developing inclusive practices that build trust with these communities allows MNHS opportunities to engage communities in authentic and mutually beneficial ways. Building accountability mechanisms allows staff to engage communities as equal contributors and helps build the trust we need to become truly inclusive. Transparency. Again, transparency requires acknowledgement of past practices, but also incorporates open and honest dialogues with communities as part of the way we conduct business. As an institution, our choices must reflect the interests of all Minnesotans and our process should incorporate diversity throughout, not as an addendum at the end. Open conversations about our institutional values, collections, exhibitions, programming and other work we do need to happen on a regular basis. If we cannot be open and transparent to all of our constituents, we need to think about why. Hesitancy to have these conversations should be our litmus test on whether or not an activity meets our institutional mission. Inclusive practices. This value challenges staff at MNHS to understand the benefits of diversity and develop practices that embed inclusion into the culture of the organization. As an institution, we must increase our flexibility in order to meet the needs of a constituency that is rapidly becoming more diverse. Sharing authority is hard for museums. We have grown comfortable being the experts. We need to recognize the expertise within our various diverse communities and use our resources to amplify voices of diverse communities through collaboration and co-creation. Multiple narratives and interpretation. It is time to democratize the stories we tell and the perspectives we filter them through. We must recognize and celebrate the contributions and narratives of all Minnesotans and indigenous people from this region at our museums and historic sites. It is incumbent upon us to work with our constituents to seek out new information and transform existing narratives to better reflect the demographics of the state. We must also create a welcoming atmosphere for all visitors at our sites and museums by utilizing culturally relevant interpretation and presentation techniques. Now to the work. The structure of the department includes what I call “two sides of the house,” Inclusion and Engagement. Inclusion focuses on the internal strategy while Engagement focuses on our external strategy within the department. Each “side of the house” includes two work areas. Inclusion includes Professional Learning and Development (PLD) and Talent Management (TM). Engagement includes Programs and Community Relationship Building (CRB). As part of the strategic priority for Diversity and Inclusion, MNHS must increase staff diversity. Most museums face this challenge. Recruitment by itself, however, is not the answer. The internal culture of museums does not tend to attract and retain much diversity and we lack training programs that feed talent into the pipeline. The premise behind the Talent Management work group is to develop a reputation as an employer that values diverse employees. Part of this strategy requires gusto: “grow our own talent.” At MNHS we run a Museum Fellowship Program to encourage undergraduate students from groups that have traditionally be marginalized by museums to explore museums as potential careers. We also have an internship program that places a heavy emphasis on recruiting diverse interns. These two programs help address entry-level talent, but what about talent above the entry-level positions? Leadership mentoring programs for diverse employees and Employee Resource Groups are examples of programs we can implement to begin to build a culture that helps attract diverse talent. Expanding our networks outside of the museum field to connect with skilled employees in other fields gives us access to a wider, more diverse pool of potential employees. As our reputation and networks grow, our job of attracting employees becomes easier. 2013 Museum Fellows at the NMAI storage facility in Suitland, MD. We understand that increasing diversity on staff takes a long time. The focus of the Professional Learning and Development (PLD) work group increases the cultural competency of current staff and shifts the organizational culture to one that increases cultural awareness, cultural intelligence, cultural humility and cultural flexibility. Developing workshops, bringing in external consultants and creating opportunities for staff to informally engage in discussions related to diversity and inclusion increase our collective level of inclusion. We are using the term “learning” rather than “training” to imply a continuous process of increasing knowledge and skills related to diversity and inclusion. As individuals build skills and awareness, the collective becomes stronger. Creating a tie-in with our performance management system provides incentive for employees to participate. Building the capacity to develop and deliver the trainings internally makes the program more sustainable and also allows for more customization to meet the needs of staff at different levels: individually, departmentally, developmentally, etc. These activities aim to create authentic, sustainable relationships with diverse communities. DICE works as ambassadors of MNHS within target communities to grow the brand of the Society and to open lines of communication and feedback with the community. MNHS cannot achieve success related to its strategic priority without nurturing mutually beneficial, sustainable relationships. Staff members need to be present and visible in the community, participating in festivals and events and partnering to support other organizations in their work. Relationships require time and constant attention, resources, desire, trust, openness and genuine intentions. Communities need to feel valued and represented in the work we do. Only when we have these relationships in place can we truly collaborate in meaningful ways. In the area of Community Engagement, DICE continues to run programs. 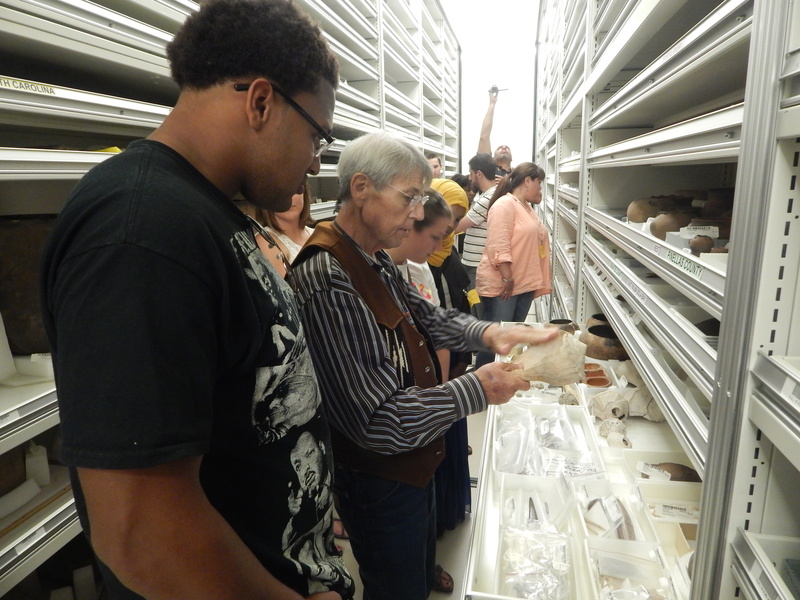 Knowing that we are not the only department at MNHS to offer programs, DICE surveys the institution’s current offerings and thinks more strategically about the programs that engage diverse communities. This holistic view helps us identify gaps and helps us implement programs more strategically with the goal of achieving continuous and sustainable engagement of diverse communities across the Society. We suffer from a silo-ed mentality (as do many museums) whereby one department’s program may not be on the radar of another. Understanding the higher-level view of our programmatic offerings allows us to make sure that we are consistent with how we engage communities and that we offer close to continuous engagement across a calendar year. So this is the new Department of Inclusion and Community Engagement at the Minnesota Historical Society. An ambitious endeavor, but it seems that museums are behind in their efforts to engage diverse populations. My apologies for the broad-brush statement. I do want to recognize the good work that many people and institutions are doing in the field. Looking at the corporate world though, D&I as a function has existed for decades and museums need to take heed or run the risk of becoming irrelevant institutions. Where are our Chief Diversity Officers? We need D&I represented at the highest levels of our institutions. We are just beginning our journey in earnest at MNHS, and I will be the first to tell you that we have not accomplished much to this point in relation to our overall goals, but as the rest of the journey unfolds, I would be happy to keep those interested up to date on our successes and our failures. Chris Taylor is the Director of Inclusion and Community Engagement at the Minnesota Historical Society. He earned a BA from the University of St. Thomas in Social Studies and Secondary Education, a MA from the Cooperstown Graduate Program for Museum Studies, and is currently pursuing an Ed.D in Organization Development. Once a historian, he has evolved into a Diversity and Inclusion practitioner over the last 9 years at MNHS. He is invested in creating a more inclusive Minnesota Historical Society (MNHS) and museum field in general. Chris’s work is driven by a Confucius quote, “The man who moves a mountain, begins by carrying away small stones.” You can contact him at chris.taylor@mnhs.org. Reblogged this on Heranças Globais – Memórias Locais.